The Apothecary® Genetics company started growing in the early 90's in Gig Harbor, Washington and has become one of the leading seed breeding companies since 1999. In 2004, Bret Bogue opened Apothecary® Genetics in Northern California and through research and development we created such strains as Grape Ape aka GDP, Old School Jams, KAIA Kush, 3-D, and Sour Grapes. In 2009, we moved to Southern California to bring these genetics and many more for years to come. Since 2007, Dark Heart Nursery has specialized in cultivating high quality clones for growers across Northern California. Dinafem is a marijuana seed bank selling the best selection of sativa and indica cannabis seeds worldwide from our own and from other seed banks. Since our origins as growers, we have researched the genetics of many plants to produce our own seeds, appreciated worldwide. Kiwiseeds began in 2002 in an attempt to save some of the fast disappearing 'old-school' genetics once the main-stay of the New Zealand/South Pacific marijuana industry. Mandala strains are famous for their exceptional performance and top grade marijuana. The aim of our seed bank is to provide a consistent high level of quality genetics and seeds at a customer friendly price. Mandala Seeds is especially dedicated to preserving the health, vigour, and genetic diversity of cannabis and to breed the purest quality and potency. As one of the most important Breeders of our time, DJ Short raises the bar for all cannabis breeders with his original mix of new and Old World Genetics. Pua Mana 1st Hawaiian Pakalōlō Seed Bank was founded in response to an alarming epidemic occurring around the globe - the disappearance and extinction of Hawaiian strains, once grown, known and loved worldwide. Mahalo (Thanks) to evolving attitudes regarding plant medicines, we can now share legendary Hawaiian genetics with you and your 'Ohana (Family). 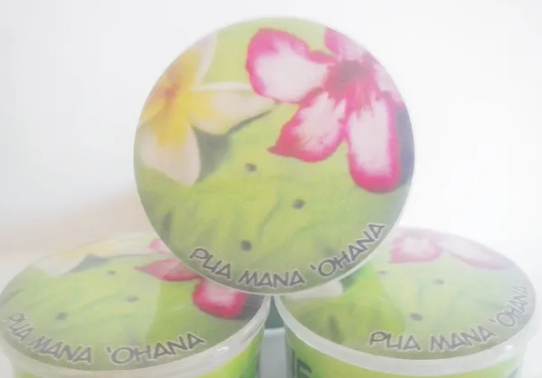 Pua Mana 'Ohana release our 'Ano 'Ano (Seeds) for souvenir and preservation purposes. Mahalo nui loa (Thank you very much) to all our fellow preservationists & 'Ohana (Family) members representing Pua Mana 'Ohana spreading abundant Aloha around the world. The Sensi Seed Bank has over 30 years of experience in collecting and refining cannabis varieties to bring the best possible cannabis seeds to everyone. These exceptional cannabis strains are conserved in the Sensi Gene Bank, a unique repository based on cannabis seeds from around the world. We offer the best quality cannabis strains on the market since 1994. Our philosophy is to develope easy to grow, stable and homogenous genetics for medicinal and recreational smokers. The Strainbank preserves the world's most potent cannabis strains and provide them to patients as mature plants for cultivation. We flower verify all of our strains to guarantee the most potent phenotypes to grow the highest quality medicine. Focusing on quality and always keeping the grower in mind, T.H.SEEDS® aims to improve and create new genetics while sticking to a simple philosophy: protect genetics and serve mankind.